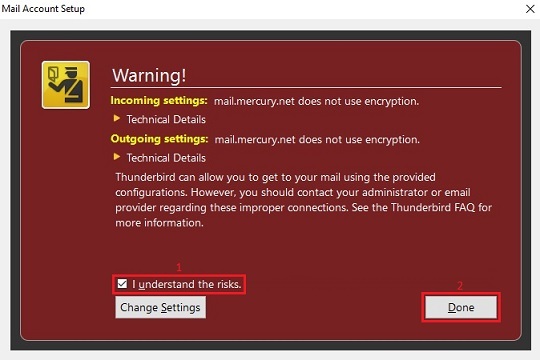 Open the Thunderbird email program. Select Tools. 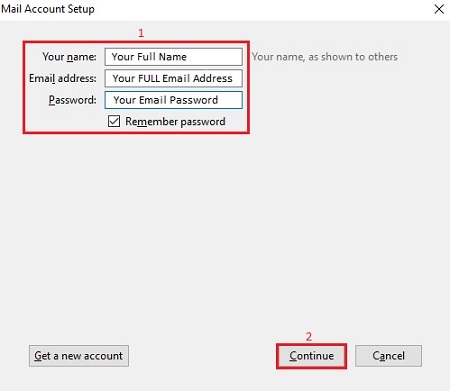 Then select Account Settings. 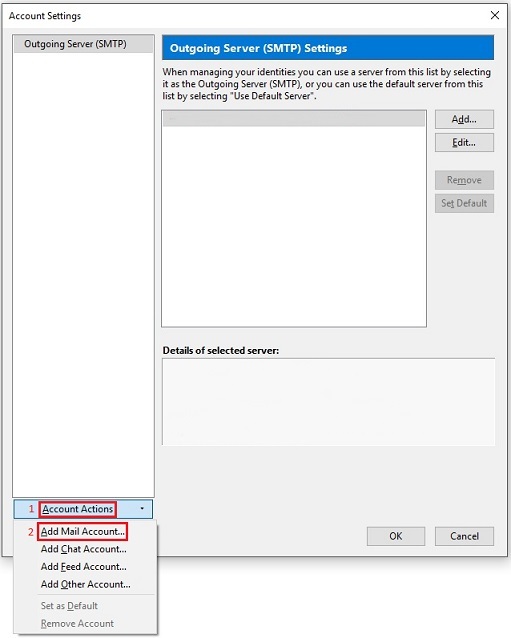 Select Account Actions. 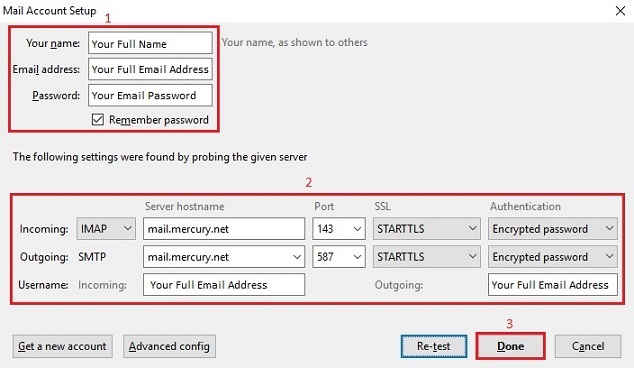 Then select Add Mail Account. Enter the information as shown below, then select Continue. 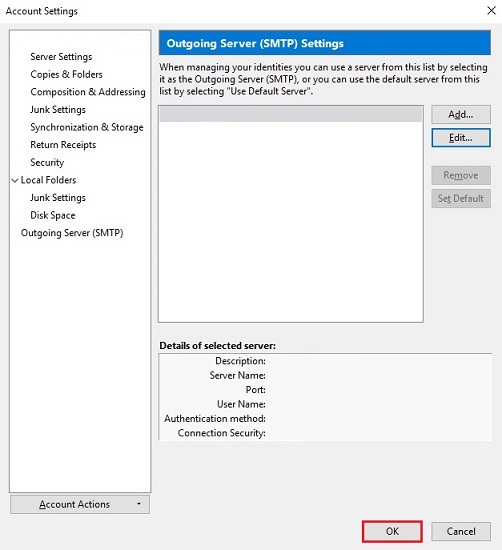 Enter the information as shown below, then select Manual config. 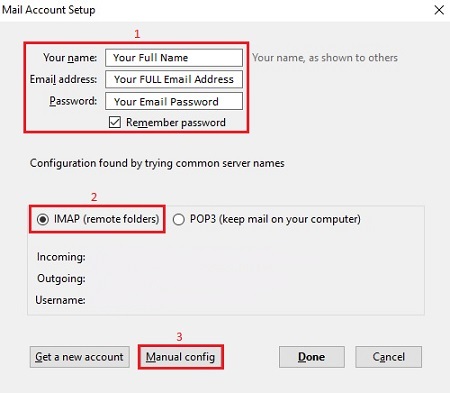 - Select the option for IMAP (remote folders). Enter the information as shown below, then select Done. If you see the message below, check the box that says "I understand the risks," and select Done. 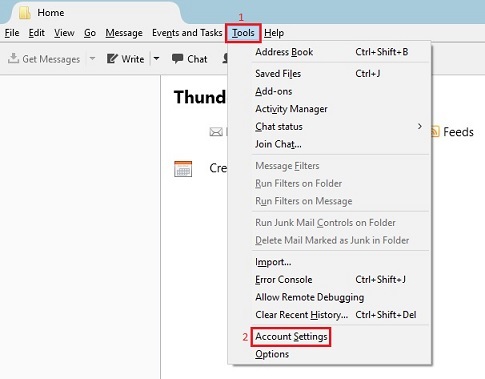 Select OK and your mail account has been added.